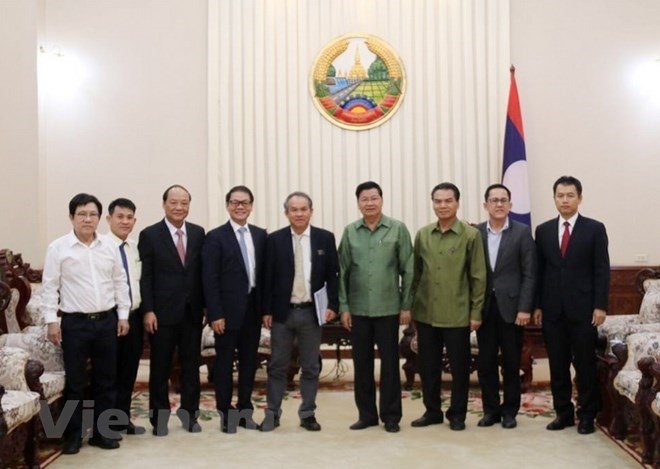 Lao Prime Minister Thongloun Sisoulith has pledged to create favorable conditions for Vietnamese firms to continue investing in agricultural development in Laos. At a reception in Vientiane on January 24 for Chairman of Truong Hai Auto Corporation (THACO) Tran Ba Duong and Chairman of Hoang Anh-Gia Lai Group Doan Nguyen Duc, the Lao PM appreciated the two companies’ strategy on sustainable investment in agriculture in Laos. He urged Hoang Anh Gia Lai and THACO to transfer technology to local people, helping Lao people to access modern agricultural production methods. He also praised the companies’ commitment to complete and hand over the Nongkhang airport in Houaphanh province on the occasion of Laos’ National Day on December 2 this year. The Hoang Anh-Gia Lai executive reported to the Lao PM that the group’s investment in Laos had been affected by the steep fall in the prices of rubber latex in the world market, which made the group unable to fulfil its commitment in building the Nongkhang airport. 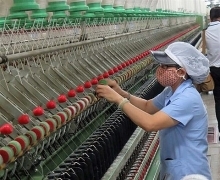 He added that his group had signed a strategic deal with THACO in August last year, under which THACO provided financial support for Hoang Anh Gia Lai to restructure and pay debts. Thanks to the assistance, Hoang Anh Gia Lai has overcome the most difficult period, stabilized its finance, and continued to invest in agriculture. THACO Chairman Duong said his firm will supply agricultural machines and mechanization solutions for Hoang Anh Gia Lai’s farm in the southern Lao province of Attapeu. 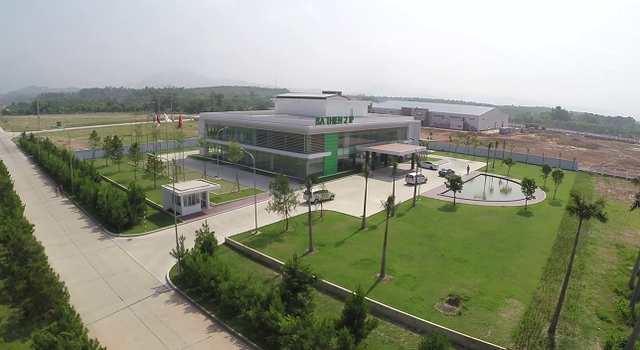 The company will also open a transportation route from Attapeu to the THACO agro-forestry-industry park and Chu Lai port in Quang Nam province through the Bo Y border gate in Kon Tum province. Duong affirmed that THACO and Hoang Anh Gia Lai will work for the common target of developing fruit tree cultivation in Laos. THACO will build a closed value chain in the field, expand the large-scale cultivation model and transfer technology to Lao farmers for the goal of developing sustainable and high-value agriculture in Laos. According to Duong, THACO will advance 12 million USD to Hoang Anh Gia Lai to complete the remaining items at the Nongkhang airport. It will assign its subsidiary Dai Quang Minh to help with the management and supervision of construction, so that the airport will be completed on schedule as committed by the Hoang Anh Gia Lai group to the Lao PM.